This Dynamic Power Free Standing King Single Swag Aluminium Tent is a tough, comfortable and easy to assemble. With its UV resistant 380gsm ripstop polycotton canvas and 500gsm PVC waterproof floor, you’ll feel comfortable braving both the wet and warm climates. Easy access and ample ventilation makes this swag perfect for warm weather as well! What’s better than the cool breeze on a balmy night sleeping under the stars? The tent is very compact so you sure will have no problem packing it inside your car or store it when you do not need it. The tent is made of durable 7001-6T aluminium poles and it gives the tent strength to withstand adverse weather conditions. 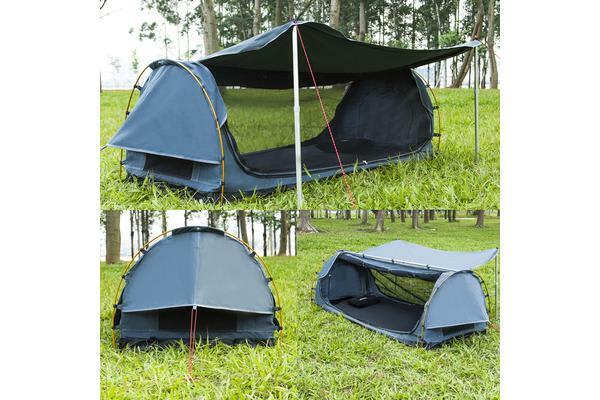 The UV resistant canvas, together with the clever ventilation design, help keep the tent cool when the sun is strong. Two height adjustable awning poles are included for added shade and space. 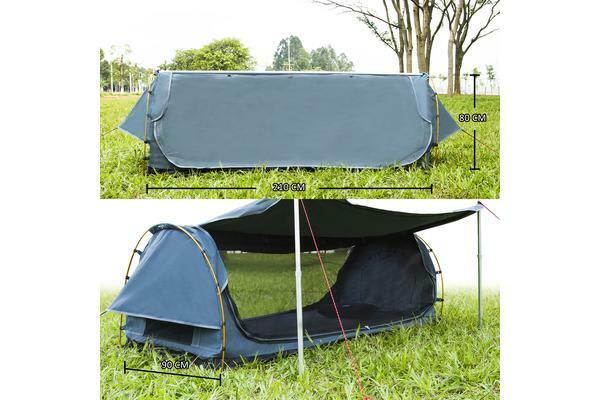 You will be surprised about the quality of the materials on this swag tent, from the zippers to the mesh panels which help protect you from insects. 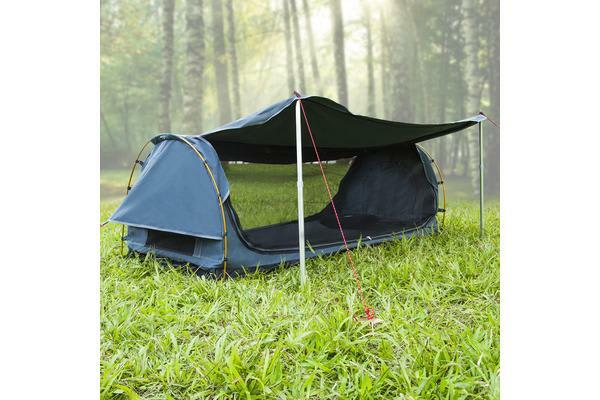 This swag tent is the perfect choice for you if you are an adventurous person and want to enjoy a great night sleep watching the sky view!